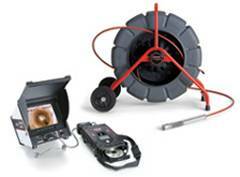 Looking for a drain camera or cable locator in or around Melbourne? It’s no secret that using a drain camera to find obstructions, or to locate services, will save you time and money. No matter where you are in Melbourne or surrounding suburbs, if you need a drain camera expert, Draincam Victoria can help. Our quality drain camera service has the latest state-of-the-art CCTV camera, and is performed to the highest professional standards with minimum disruption to your clients. You also have the option of a full-colour DVD of your inspection - ideal for insurance claims, disputes and whenever you need irrefutable proof.